Education: Baylor University, B.S., University of Houston Clear Lake, M.Ed. Angela Paxton is a proud native Texan who has lived, served the community, and raised a family in McKinney, Texas, for over two decades. An adopted child, she was born on Valentine’s Day, 1963, in New Braunfels, Texas, and was welcomed into her new family the day after her birth. She was raised in Mansfield, Texas; her father worked at Bell Helicopter and her mother was a teacher’s aide. Angela graduated from Baylor University with a degree in Mathematical Science and became the first person in her family to graduate from college. She later earned her Master’s degree in Education from the University of Houston—Clear Lake and began a 22-year career in education. Angela Paxton’s career as a secondary math teacher and a guidance counselor in public, private, and home school settings uniquely equips her to passionately advocate for student achievement and teacher effectiveness, and her background in mathematics and computer science positions her to champion the opportunities and challenges of the growing technology industry in Senate District 8 and Texas. 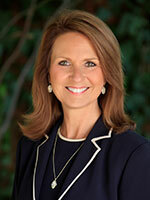 She is also an unwavering voice on pro-life issues, including adoption and human trafficking. Angela and her husband, Attorney General Ken Paxton, met at Baylor University. They have been married since 1986 and have four grown children. The Paxtons are members of Prestonwood Baptist Church in Plano.